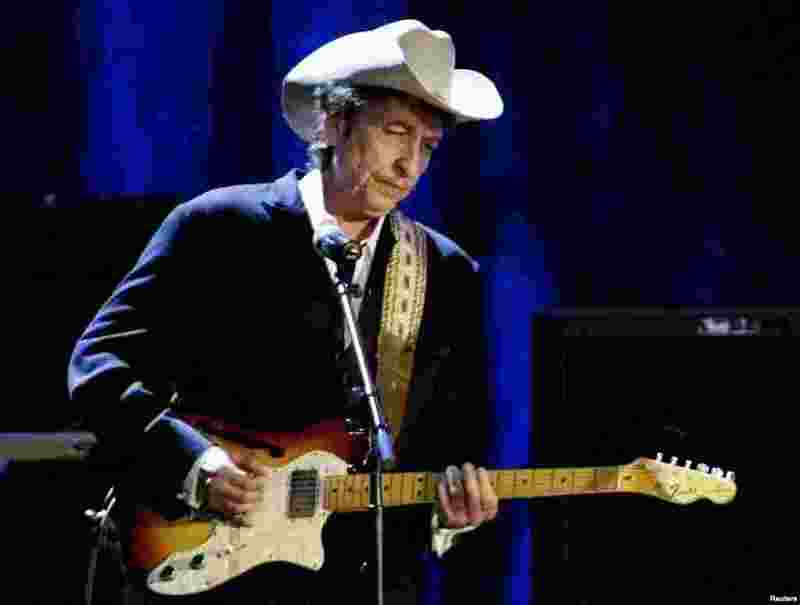 1 Rock musician Bob Dylan performs at the Wiltern Theatre in Los Angele, May 5, 2004. 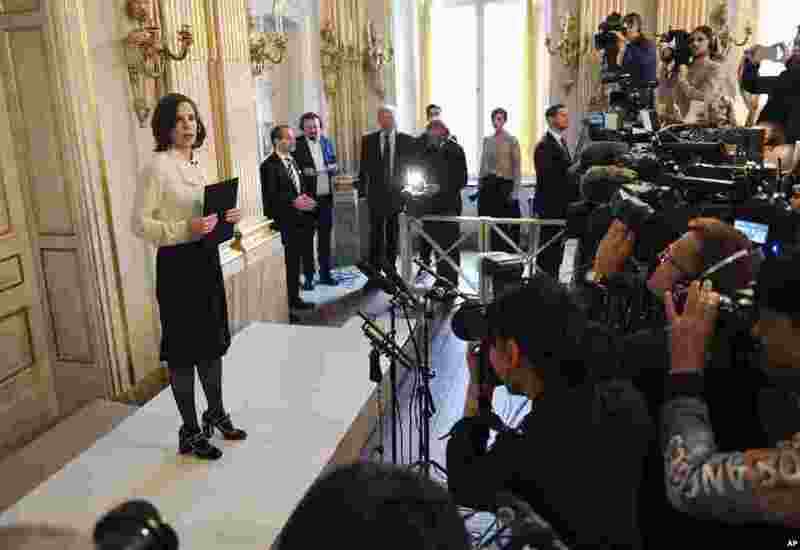 2 Permanent Secretary of the Swedish Academy Sara Danius announces that Bob Dylan is awarded the 2016 Nobel Prize in Literature during a presser at the Old Stockholm Stock Exchange Building in Stockholm, Sweden, Oct. 13, 2016. 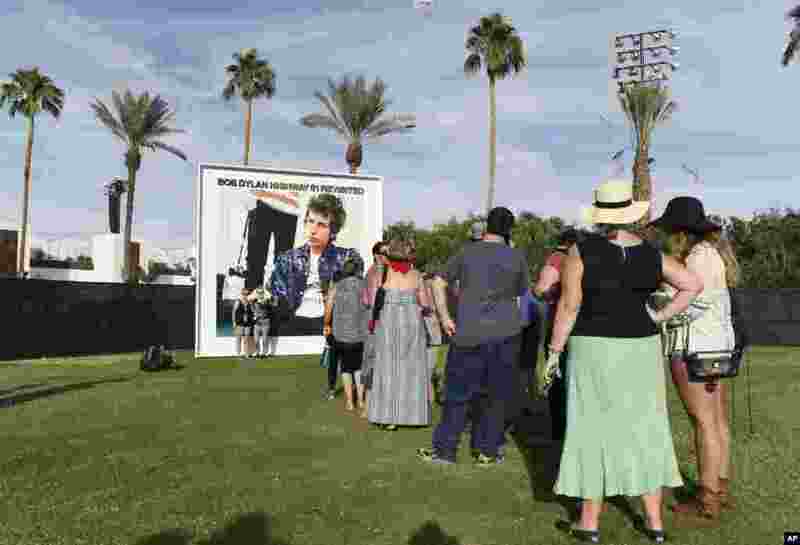 3 Festival goers wait in line to be photographed against a billboard of Bob Dylan's album "Highway 61 Revisited" on day 1 of the 2016 Desert Trip music festival at Empire Polo Field, Oct. 7, 2016, in Indio, California. 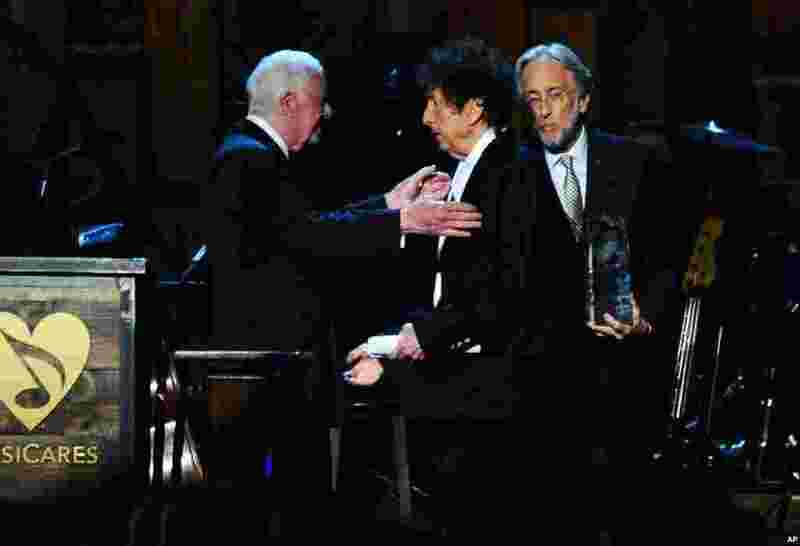 4 President Jimmy Carter, left, presents Bob Dylan with the award for 2015 MusiCares Person of the Year at the Los Angeles Convention Center in Los Angeles, Feb. 6, 2015. 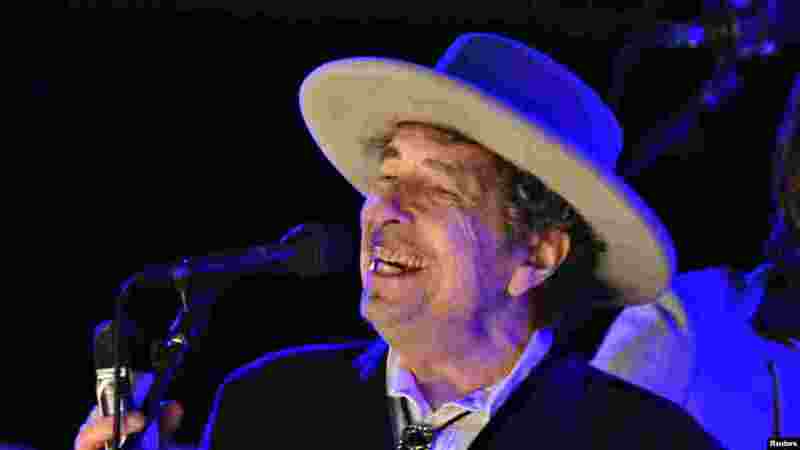 5 Bob Dylan performs during on day 2 of The Hop Festival in Paddock Wood, Kent, Britain, Jun. 30, 2012. 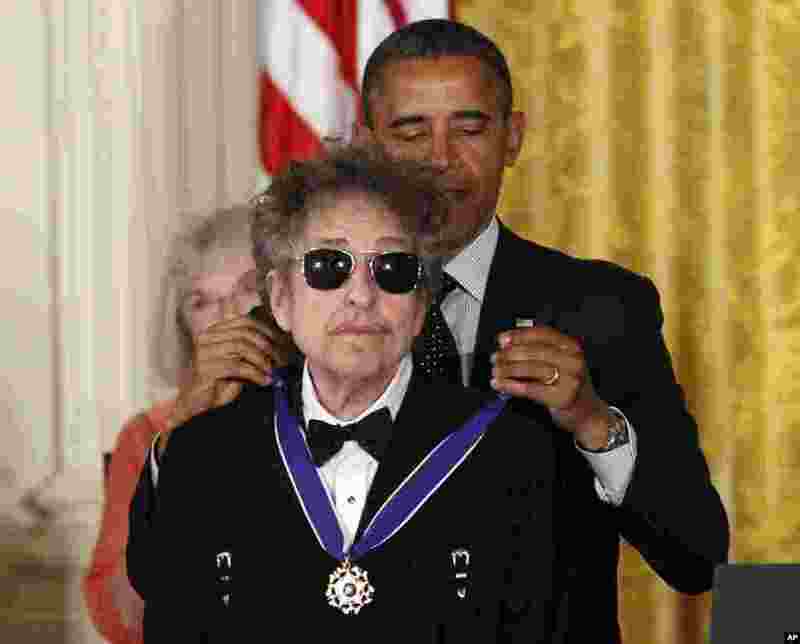 6 President Barack Obama presents rock legend Bob Dylan with a Medal of Freedom during a ceremony at the White House in Washington, May 29, 2012..
7 Bob Dylan is back on the road with his show visiting small town and cities. 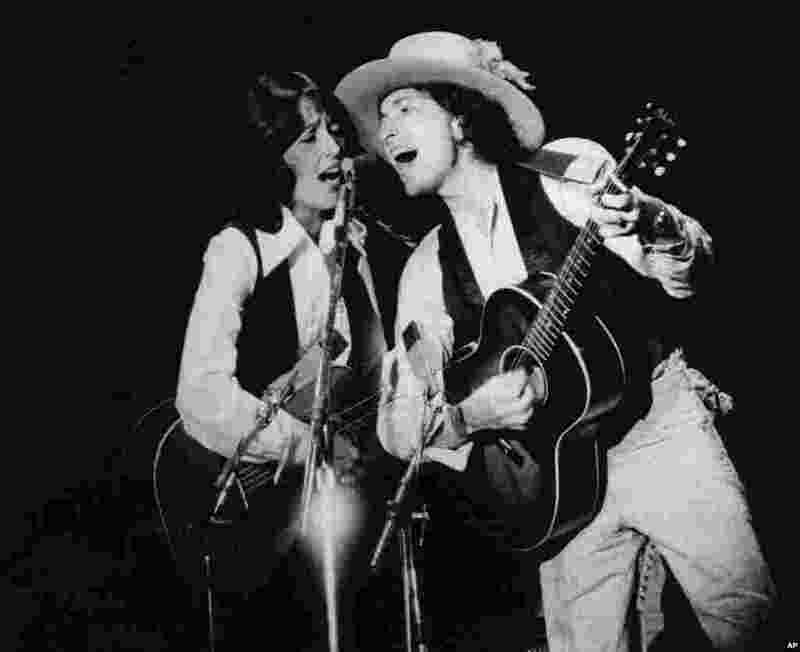 He is seen here with Joan Baez, in Providence, Rhode Island, Nov. 4, 1975. 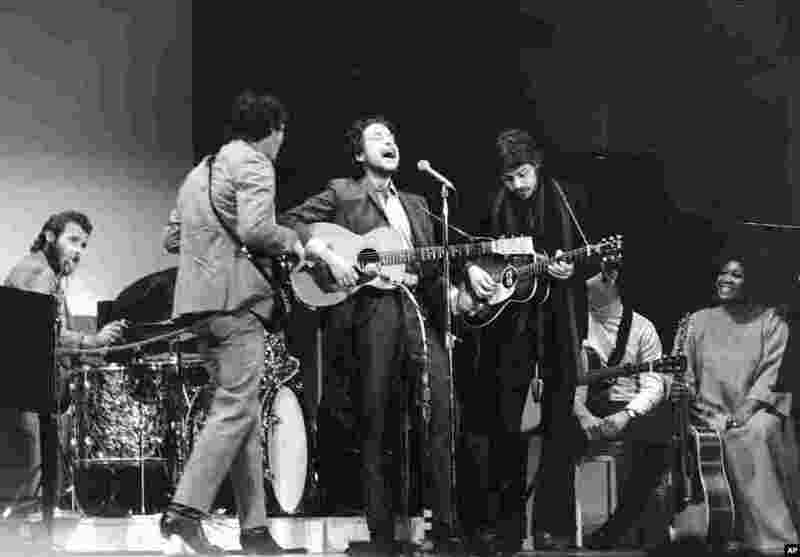 8 Folk singer Bob Dylan, center, performs with drummer Levon Helm, left, Rick Danko, second left, and Robbie Robertson of The Band at Carnegie Hall in New York City on Jan. 20, 1968.